There were some rumors and news flying around in March of last year that Mazda was in talks with Toyota to get their hands on the hybrid technology they had developed. 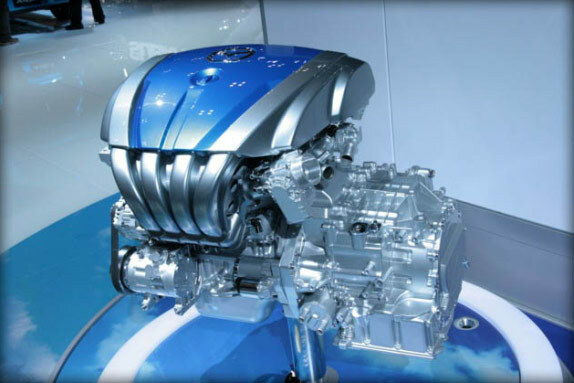 The system people had mentioned was the Toyota Synergy Hybrid Tech and was to be combined with the Mazda Sky engines. The vehicles were slated to be available in 2013. This week Mazda announced that they will be offering electric vehicles starting on 2012. The vehicle will be the Mazda 2/Demio and will be offered to fleet accounts, like government and larger corporations, instead of individuals. Mazda makes no mention of the hybrid technology that they were working on getting from Toyota. This leads me to speculate that with the news of the all-electric car and the gasoline technology advances that Mazda has been working on we might not see a hybrid from Mazda. I personally don’t think it would be worth it for Mazda to continue pursuing 3 different paths for better fuel economy. Given the size of Mazda it doesn’t make much sense from a cost standpoint. The Sky drivetrains will make Mazda competitive with most of the hybrids on the market without having to run heavy batteries and hybrid drivetrain systems. The all-electric vehicles are going to be strictly fleet vehicles, which means there is no need for the infrastructure of charging stations. Mazda did have one hybrid vehicle in the past, the Tribute, but it was based on the Ford Escape. With Ford only owning about 3% in Mazda these days, the technology sharing looks to have changed between the two companies to a minimal amount. I do look forward to seeing what Mazda can innovate for the electric vehicle. Mazda has always been willing to go a different direction from other car manufacturers to solve problems. I think we will see an example of that in 2012, much like what we have seen with the Sky engine systems. Initial responses to the Sky engines seems to be a bit more tepid than anyone expected, but there jury is still out. I agree that a hybrid doesn’t make sense, at least not an independently developed system. From what I have seen, Mazda has poured more development resources into hydrogen powerplants anyway, but they seem to be out of vogue at the moment. I think the bigger question right now revolves around transmissions. I haven’t looked into it much, but has Mazda done much in the direction of dual-clutch systems? Their manual gearboxes have been among the best in the industry for the last few years, but consumer interest and rising governmental fuel efficiency standards seem to be making DCTs a necessity for all manufacturers in the future.